I love Sunday morning laziness! 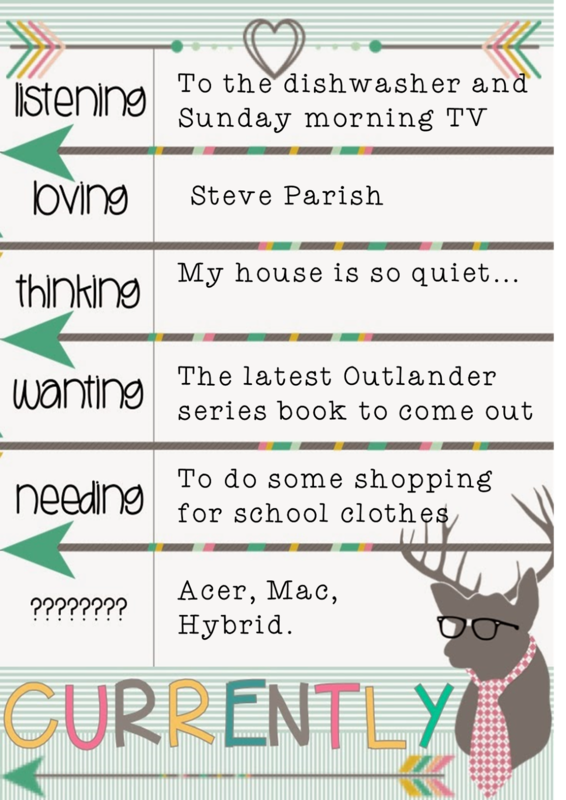 My ideal Sunday is a coffee, morning TV, surfing TpT, FB and blogs. My daughter had her 13th birthday recently and had a sleepover with 5 other 13 year old girls.....need I say more. I am loving how quiet the house is at this very moment. I have been reading the Outlander (written by Diana Gabaldon) series for years, I am re-reading them for the 4th time in anticipation of the next book to be released this year as well as a mini series being filmed right now. If you have never heard of them it follows the journey of a woman who time travels back to 18th century Scotland and falls in love with a Highlander, the twists and turns are amazing and the way this author writes.....well I cannot put down her books once I start them. I am sick of ALL of my school clothes, I definitely need to get some new clothes ready for Autumn and Winter. Can you guess what my question is? Haven't linked up yet? Head over by clicking on the pic. Enjoy your weekend friends! Ha! At first I was thinking, "Sunday morning?" Then I remembered you are in Australia, right? Too funny. I ALWAYS want new school clothes. It is probably a problem. I tend to end up with a new school outfit at least twice a month. And now I've been introduced to StitchFix.com. I'm in trouble! Hi! I love Sunday mornings too, especially drinking a cup of coffee and blogging! Five 13 year olds?? Wow! I would be enjoying the quiet house as well! Outlander sounds like a great book! I am getting ready to read The Best of Me by Nicholas Sparks. I love his stories! I'm glad that I came across your blog! You are the first blogger that I have met outside of the US! :) Stop by my blog sometime! Are you getting a new laptop/PC? Swap,Share Give! 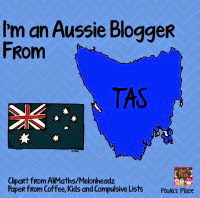 A blog linky from Down Under! That Cat! A new book in the series.